1881 bought by Northern Steam Ship Company. 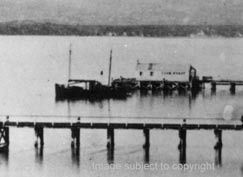 1885 Aug discovered to be fire after leaving Whangarei Wharf. Scuttled to save her, and later raised. 1911 machinery removed and dismantled. Used for a time as a lighter.